If you’re in the mood to wander around the West Indian island of Antigua then you’ll discover just over 50 miles of tropical shoreline that’s blessed by both the sun and the gentle lapping of the Caribbean Sea. This is simply one of the most idyllic spots in the whole world and if you're lucky enough to be stepping foot onto the island and feeling the soft white sand sneaking between your toes then rest assured that rest and relaxation are never far behind. 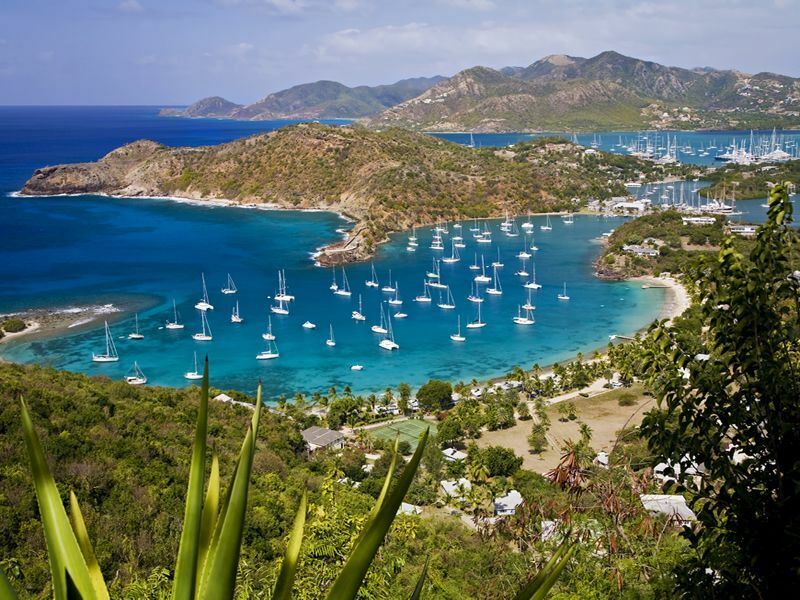 Aside from the enviable beaches and warm waves, Antigua is also well-known for its colonial heritage and for its sporting sons, of which: cricket is by far the most popular with Viv Richards being one of the island’s most notable stars. If you want to find out more about what makes Antigua’s people tick and what you can do on the island other than catching a tan then check out the top 10 things to do in Antigua below that will give you plenty of ideas as well as making you green with envy. Currently accommodating over 150 donkeys that have been deemed at risk, this sanctuary, on the east coast, presents a great way to find out more about what the Humane Society is doing to save these noble beasts of burden. This makes for a great alternative from building sand castles and kids will love the chance to pet and feed the donkeys as well as browsing in the gift shop for donkey-related souvenirs or should that be souven…ears? No, probably not. This is one of the island’s finest golf courses and has been enticing tourists to thwack a few balls since back in the 70’s. As Antigua's only 18 Hole course of championship quality you can expect to find perfectly manicured greens and far-stretching fairways that are constantly maintained under the beating Caribbean sunshine. Rent some clubs, get some lessons, use the driving range, play a half course or go for the whole tin cup and, if all of the above fails, there’s a pretty good 19th hole from where to enjoy the view. Location: north of the island, 3 miles from St Johns. There’s only so much splashing and lazing around that you can fit into one day in Antigua and activity centres, such as Reservoir Range, offer an altogether different approach to taking it easy. Clay pigeon shooting, air-pistol targets and archery are all on offer if you fancy going all Ernest Hemingway and there’s also a rum tour by Land Rover if you want to really seal the deal. Mountain biking, fishing and plenty of places to picnic - what more could you ask for? This is where all the cool kids hang out and if you’re in need of a few breaks and warm waves then check out the natural swirls around Devil’s Bridge on the east coast near Indian Town Point. Well-known for being one of the best places to swim in the area Devil’s Bridge is also revered for its blow-holes that have a tendency to spurt out warm water on unsuspecting tourists who just so happen to be strolling past. 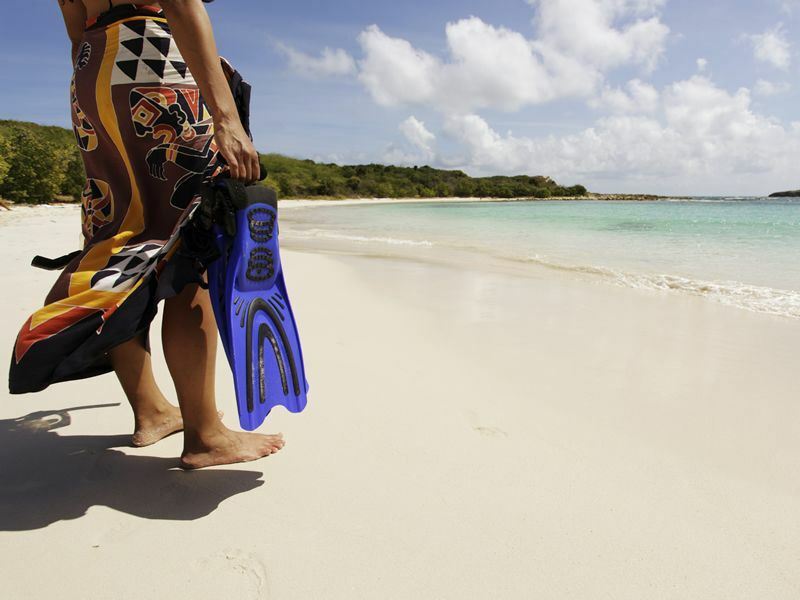 Of course, for many, no visit to Antigua is complete without donning a mask and flippers and taking the plunge into the bath-warm waters surrounding the island. Snorkelling is pretty much the greatest way to spend time away from your hammock and from colourful coral reefs and fish to working on your back tan, there are literally hundreds of areas to explore underwater. Top spot: If you’re looking for one of the best snorkelling locations then check out Long Bay on the north east coast - simply stunning! This is one of Antigua’s natural landmarks that will inevitably be one of the highlights of any trip to the island. Only reachable via boat but well-worth the effort you’ll find an archway that’s been carved over time by the Caribbean's warm waters and as such makes for the perfect spot to explore and indulge in a little bit of rock pooling. Hell’s Gate is also an awesome location for snorkelling and swimming although once you check out the natural Jacuzzi you may be hard pushed to attempt anything more strenuous. 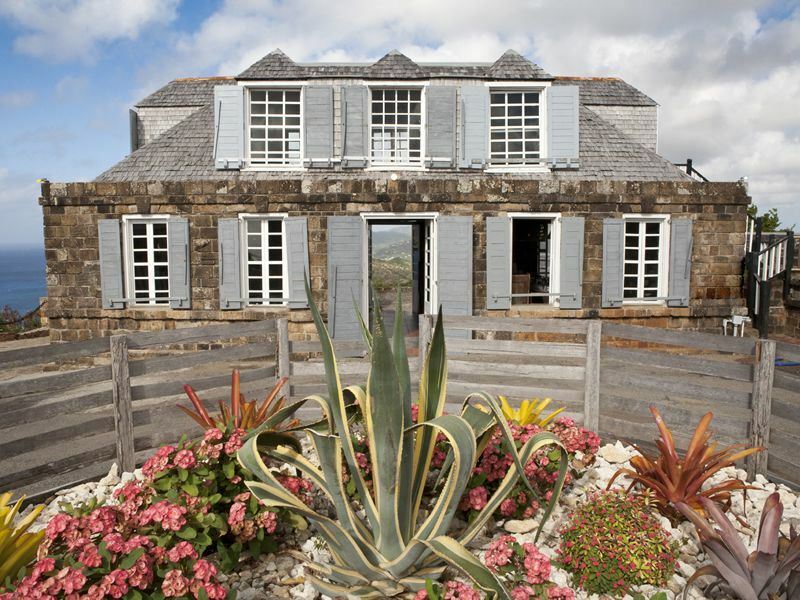 Overlooking English Harbour you’ll find one of the best view-points on the island and it will come as no surprise that Shirley Heights was once used by the military to keep watch out for marauding invaders. Today you’ll discover that the lookout points and gun battery serve more as a tourist attraction and the corresponding bar/restaurant is a regular haunt for party-goers every Sunday evening as the sun sets on yet another perfect week in the Caribbean. 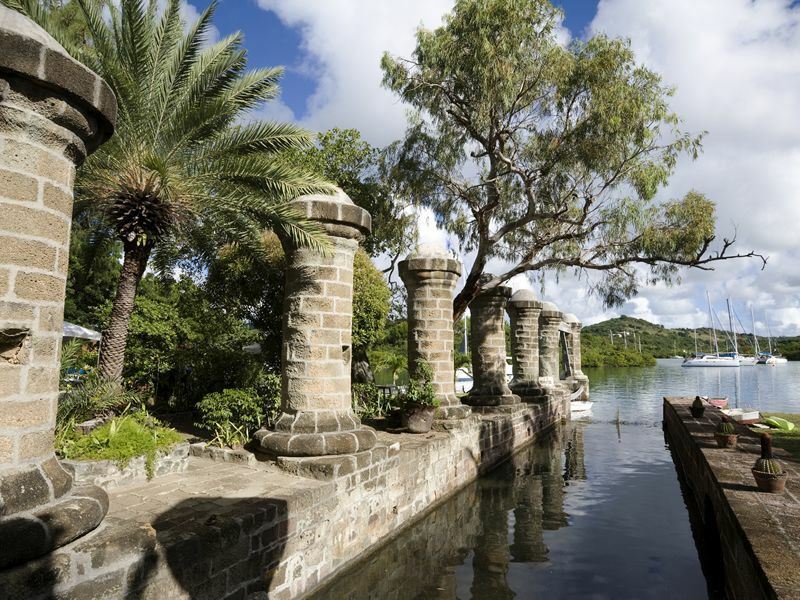 Antigua’s colonial and naval history is well-documented and if you’d like to learn more about Admiral Lord Nelson’s part in the island’s past then this is the ideal place to start. There’s a fine array of figureheads, anchors, monuments and artefacts dating back to Nelson’s time spent on the island (1784 - 1787) and the modern marina presents plenty of glamour as 'those in the know' visit for events such as the annual sailing regattas. Location: English Harbour on the south coast. 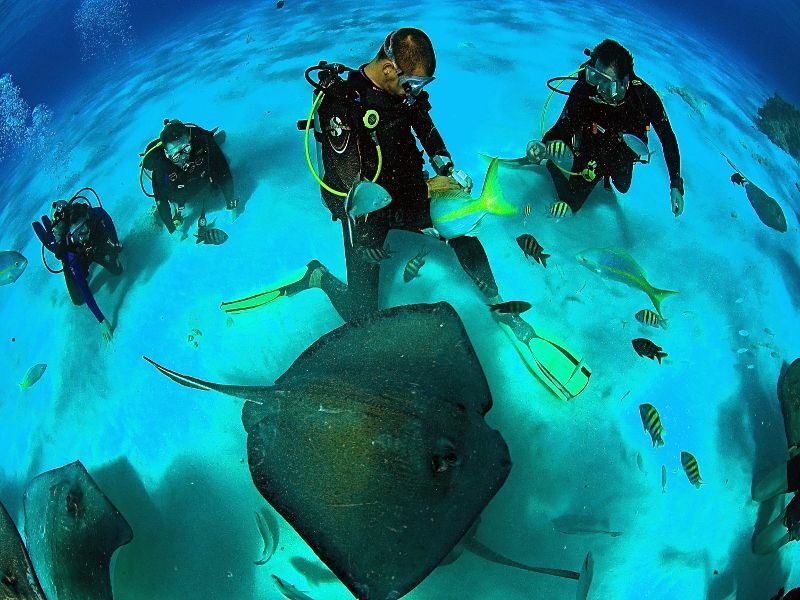 Located on the east coast of Antigua, in Seaton’s Village, Stingray City does exactly what it says on the dive suit and enables you to get up close and personal to more rays than you’ll possibly be able to handle. This is pretty much snorkelling heaven and although it’s best known for its propensity for the non-stinging Southern rays it’s also an exceptional spot for coral reefs and tropical fish. If you believe the locals then little old Antigua can boast 365 white sand beaches meaning that you get to choose a different spot to relax every day of the year. 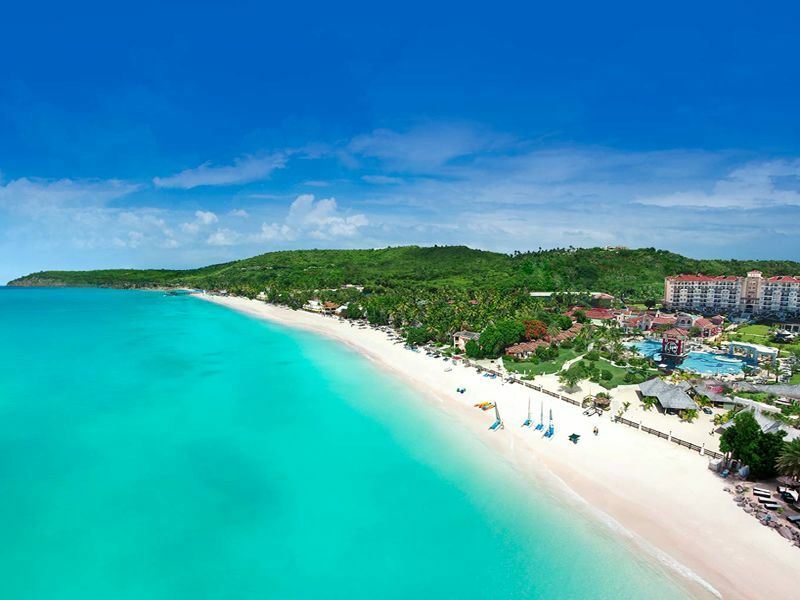 Whether or not there are actually that many beaches to choose from is a different story but one thing is for sure, what is actually on offer is amongst the best in the world with the likes of Carlisle Bay and Galley Bay Resort & Spa offering up just a couple of examples of tropical awesomeness.